INDIANAPOLIS, June 13, 2018 – USA Gymnastics has announced the schedule for the 2019 Nastia Liukin Cup Series, which kicks off January 11, 2019. Performances at the 18 invitational meets in the Series will determine the gymnasts who will compete in the Nastia Liukin Cup at the Greensboro Coliseum on March 1, 2019. 2019 is the 10th annual edition of the Cup, which was started in 2010 by 2008 Olympic all-around gold-medalist Nastia Liukin. The Nastia Liukin Cup kicks off the Triple Cup weekend at the Greensboro Coliseum. On Saturday, March 2, the 2019 American Cup, the USA’s most prestigious international invitational and part of the International Gymnastics Federation’s all-around World Cup series, and the men’s Elite Team Cup take the floor at 11:30 a.m. and 6 p.m. ET, respectively. The 36 participants in the Nastia Liukin Cup are selected through the Nastia Liukin Cup Series, which features 18 of the country’s top gymnastics invitationals held throughout the United States. The Nastia Liukin Cup Series kicks off on Jan. 11, with four invitationals, and the final junior and senior Nastia Liukin Cup qualifiers will be determined at the Greensboro Gymnastics Invitational, just prior to the Nastia Liukin Cup. The invitationals participating in the 2019 Nastia Liukin Cup Series are listed below. A total of 18 junior and 18 senior gymnasts will advance to the Nastia Liukin Cup. Senior athletes must be 16 years of age or older, and junior athletes must be 15 or younger. Gymnasts who compete in the Nastia Liukin Cup will receive a Nastia Liukin-designed leotard and a warm-up from GK Elite; two tickets to the Nastia Liukin Cup; and the opportunity to meet Liukin and participate in a team photo. Tickets for the Nastia Liukin Cup will go on sale this fall through gymnastics clubs participating in the American Cup discount ticket program and will go on sale to the general public after the first of the year. For more information on tickets, please go nastialiukincup.com. 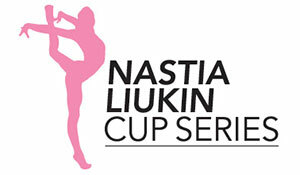 The Nastia Liukin Cup made its debut in 2010. Past sites include 2018, Hoffman Estates, Ill.; 2016 and 2017, Newark, N.J.; 2015, Arlington, Texas; 2014 and 2019, Greensboro, N.C.; 2013 and 2010, Worcester, Mass. ; 2012, New York City; and 2011, Jacksonville, Fla. 2010 in Worcester and returned in 2013. Other sites for the Nastia Liukin Cup are Jacksonville, Fla. (2011), and New York City (2012). The Elite Team Cup debuted in 2016 in Newark, N.J., returned to Newark in 2017, and was in Hoffman Estates in 2018. Nastia Liukin. At the 2008 Olympic Games in Beijing, Liukin’s total of five medals tied the U.S. gymnastics record for most medals in one Olympic Games. Liukin’s Olympic medals are: gold – all-around; silver – team, balance beam and uneven bars; and bronze – floor exercise. Liukin was the third of five U.S. women to win the Olympic all-around crown. She also won nine World medals in her career. Liukin has graced many magazine covers and appeared on various shows, including “Gossip Girl,” “Make It or Break It,” and the feature film, “Stick It.” Liukin was a contestant in the 2015 spring edition of “Dancing with the Stars” and was the grand marshal for the 2015 Indianapolis 500. She currently serves as a gymnastics analyst for NBC Sports and is a founder of Grander, a global community for the next generation of female athletes that provides access to the people who inspire, resources to help achieve dreams, and communities of like-minded people with similar ambitions. Liukin was coached by her father, Valeri, who has four Olympic medals from 1988 including two gold. Greensboro Area Convention & Visitors Bureau. The Greensboro Area Convention & Visitors Bureau is an independent, non-profit governmental authority whose mission is to aggressively market Greensboro’s assets, maximizing economic impact while providing excellent visitor service. Guilford County ranks third in the state in travel and tourism expenditures, with over $1.2 billion generated in 2015 and more than 13,000 people employed in travel-related jobs. For more information: www.visitgreensboronc.com. Greensboro Coliseum Complex. The Greensboro Coliseum Complex is a multi-building facility designed to serve the citizens of Greensboro and the surrounding area through a broad range of activities, including athletic events, cultural arts, concerts, theater, educational activities, fairs, exhibits, and public and private events of all kinds including conventions, convocations and trade and consumer shows. The Greensboro Coliseum Complex is one of the most actively booked facilities in the country hosting more than 1,100 events on an annual basis. With its incredible versatility, the Complex has gained worldwide acclaim from promoters, producers, event planners and patrons. For more information; www.greensborocoliseum.com. Sports & Properties, Inc. SPI is a sports marketing and sports development firm concentrating in three primary areas of business: major sponsorships, including naming rights; sports tourism; and major events. SPI recent projects include the Raleigh-Durham market’s Major League Soccer Application, the USA Masters Games, greater Asheville sports tourism, and the Seminole County Sports Complex. Event projects include the Africa Youth Games, U.S. Figure Skating Championships, and the American Cup. SPI clients include Capitol Broadcasting Company, the Asheville Buncombe Regional Sports Commission, the North Carolina Football Club, and the Greensboro Coliseum Complex, among others. For more information on SPI, visit sportsproperties.com. Greensboro Gymnastics Invitational (GGI). Celebrating its 10th anniversary in 2019, the Greensboro Gymnastics Invitational, hosted by Flip Force Gymnastics, is one of the largest gymnastics events on the East Coast. The event includes competition in men’s and women’s gymnastics, and power tumbling and trampoline. In 2018, GGI hosted over 3,000 athletes and was a Nastia Liukin Cup senior and junior qualifying event. 2018 was also the inaugural year of the GGI State Men’s Team Competition. Held annually at the Greensboro Coliseum Complex in February, GGI is directed by Chris Young (Flip Force Gymnastics), Esau Huang (Flip Force Gymnastics), and Sarah Myers (Flip Force Kidsport Gymnastics). GGI is a sponsor of Big Brothers Big Sisters, raising $25,000 for the local chapter. For more information, go to www.greensborogyminvite.com. International Gymnastics Federation. The International Gymnastics Federation is the governing body for gymnastics worldwide. It is the oldest established international federation of an Olympic sport and has participated in the Olympic Games since its revival in 1896. The FIG governs eight sports: gymnastics for all, men’s and women’s artistic gymnastics, rhythmic gymnastics, trampoline (including double mini-trampoline and tumbling), aerobics, acrobatics, and Parkour. It counts 148 national member federations and has its headquarters in the Olympic capital of Lausanne, Switzerland. USA Gymnastics. Based in Indianapolis, USA Gymnastics is the national governing body for gymnastics in the United States. The organization is committed to creating a culture that empowers and supports its athletes and focuses on its highest priority, the safety and well-being of the athletes. USA Gymnastics has already taken specific, concrete steps to strengthen its safe sport policies and procedures. The organization’s disciplines include men’s and women’s artistic gymnastics, rhythmic gymnastics, trampoline and tumbling, acrobatic gymnastics and gymnastics for all (formerly known as group gymnastics). For more complete information, log on to usagym.org.